All the Best American Short Stories 19XX are combined with the Best American Short Stories; The Yearbook of American Short Stories 19xx of the same year, because it seems that all those Best American Short Stories volumes include that yearbook. It's simply a question of whether it's been included in the work title or not. Hope that's clear. 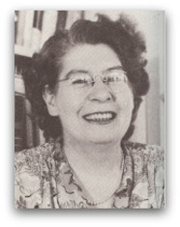 Martha Foley is currently considered a "single author." If one or more works are by a distinct, homonymous authors, go ahead and split the author. Martha Foley is composed of 7 names. You can examine and separate out names.